Merry Christmas and Happy Holidays! Another year has flown by and we are now into the Christmas and holiday season. With each passing year I become more and more appreciative of my privileges and blessings. One of the greatest blessings in my life is my association with you. I appreciate your trust and confidence and assure you of every effort to maintain that trust and confidence. We will continue to try to improve and meet your needs and objectives. Things change over time, not the least of which includes different faces in Washington. I wish our lives were not so polarized by political speech, but I suppose that it has always been so. It is true, that what is done in Washington, does affect our lives and our finances, so we need to pay attention and voice our opinions. As I write this letter, both the House and the Senate have passed their versions of the tax bill. It now will go to conference where they will work out their differences. It will be interesting to see what comes out of conference. If you are interested in seeing a comparison of the current tax law compared with the House and the Senate’s version of the bill, you may want to review the comparison that was put together by Adam Michel who is a Policy Analyst for the Thomas A. Row Institute. His comparison was published by The Heritage Foundation. Here is a link to his article: http://www.heritage.org/taxes/commentary/1-chart-the-differences-between-the-house-and-senate-tax-reform-bills-0. Again, we do not yet know what will come out of conference but the Senate and House of Representatives have both passed versions of the new tax reform law that eliminates availability of Roth IRA recharacterizations after December 31, 2017. Again, it is not certain that this provision will survive into the final law, however, it now seems very likely. Recharacterization gives taxpayers a "do over" opportunity. It typically is used when a Traditional IRA that is converted to a Roth IRA afterwards declines in value – forcing the IRA owner to pay income tax on a converted amount that now exceeds the value of the IRA. Recharacterizing reverses the transaction to eliminate the excess tax. A common problem is that December 31 of the year in which an IRA is funded may be too soon for an IRA owner to have all the information needed to determine whether a recharacterization is warranted. Thus, until now the law has allowed recharacterizations to be made as late as October 15 of the following year. However, both the Senate and House versions of the new law eliminate this extra time. Under both versions of the law, December 31, 2017, is "the do it or lose it date" for recharacterizations of conversions made in 2017. If you have converted Traditional IRA funds into a ROTH IRA this year, you may want to recharacterize it back to a Traditional IRA before December 31st of this year, particularly if you were thinking of taking advantage of the recharacterization rules in 2018 for money you converted in 2017. You can always move the money back into the ROTH in 2018 if you wish. Call me if this applies to you and we can discuss it. As a matter of interest, the ROTH IRA will celebrate its 20th anniversary in January. We will be celebrating this event during the month of January with a number of social media posts. Earlier in the year, I notified you of our new staff members as well as our objective to transition much of our business to a fee based management structure. We are not done with this transition but we have made significant progress and have implemented an “enhanced trading” platform that allows us to be more efficient in the management of accounts. A great deal of credit goes to LPL Registered Sales Assistant, Jacob Bierstedt, CFP®, CHfC®, who we brought on board this summer. I appreciate his efforts and contributions to this project. It was a lot of work. It will continue to be enhanced and adjusted as necessary. In the last couple of weeks, we have completed an upgrade to our website, www.dixonfinancialgrp.com. If you haven’t been on the site lately, you might want to look at it again and spend some time exploring. The upgraded site includes new videos and links that you should find interesting and valuable. The sight describes who we are, what we do and why we do it. You will find updated pictures of our team and updated bio’s. You will find video’s that provide insight into retirement and investment strategies along with many other resources including calculators that you might find helpful. As always, the site includes a client log-in where you can look at your account information on-line. Your suggestions and recommendations are also appreciated so don’t hesitate to let us know how we can improve. The markets have been happy and positive this year. The market turmoil of the 2008-2009 recession still looms large in many minds as some wonder when the next market crash will occur. The primary key is to stay focused on long-term goals and to generate income from investments – including interest income, and dividend income. LPL’s research department forecasts for the calendar year of 2018, an economy growth, as measured by the gross domestic product (GDP), of 2.5% or more. They are also forecasting an 8-10% return for the S&P 500 and for bonds they are forecasting a flat to low-single-digit returns for 2018. If you are interested in reading their entire report, call the office and we will send the report to you. We are also planning on hosting a number of seminars and workshops in the coming year. We will keep you posted on the subjects that we will be discussing as well as the dates and locations of these events. We will also post these events to the website. Thank you again for your trust and confidence. The internal changes we have made this year in the way of staffing and operations has slowed us down a bit, but we are looking forward to the new year and meeting with as many of you as possible. As always, we appreciate any referrals you may feel comfortable sending our way. We will treat them with respect and work hard to meet their needs. 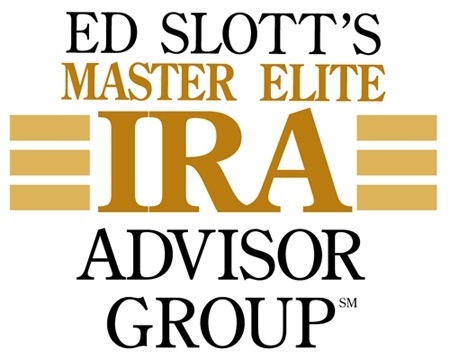 Roth IRA account owners should consider the potential tax ramifications, age and contribution deductibility limits in regard to executing a re-characterization of a Roth IRA to a Traditional IRA.